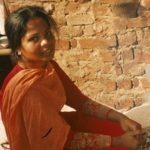 Asia Bibi, a Pakistani Christian woman on death row for blasphemy since 2010, has won her final appeal. 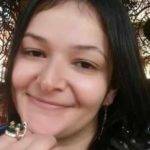 She is expected to be freed from prison soon, but there are still fears for her personal safety, as many in the country still believe that she should die. Her case has divided Pakistan, and it’s not believed safe for her to live in the country. Her family have had to move several times during her incarceration in Multan jail. Chief Justice Mian Saqib Nisar announced the decision after her much-delayed appeal was heard in Pakistan’s Supreme Court in the capital, Islamabad, on 8 October. He and his two fellow judges have now been threatened with death themselves by one hardline Islamic party, and protests with burning tyres have already started, according to the BBC. It also reports a lock-down in Islamabad, as there are even threats to topple the Pakistani government from those angered at this decision. 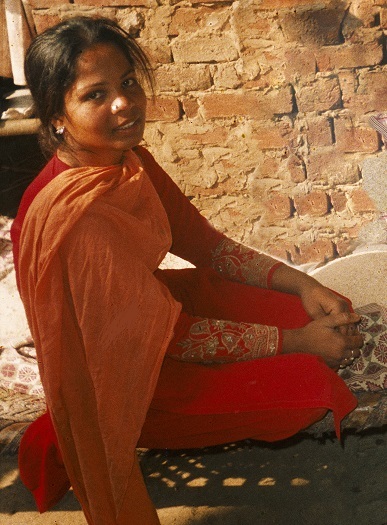 Aasiya Noreen, commonly known as Asia Bibi, has been in prison for nine years after she was arrested, and then received the death penalty for allegedly making derogatory comments about Islam’s prophet, Muhammad, during an argument with a Muslim woman. Noreen had filed her appeal with the Supreme Court in 2014, but her last appearance, two years ago, was adjourned amid protests. An appeals court in 2014 used her case as justification to ask Pakistan’s government to change court rules to make future blasphemy convictions more difficult to obtain. 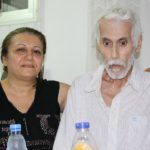 Only Pakistan’s Supreme Court had the power to change Noreen’s death sentence, or an appeal to the president for mercy. During the 8 October hearing, the court again heard how the complainant in the case had not even been present when the alleged blasphemy took place. Noreen was said to have confessed to the blasphemy in front of a mob of around 1,000 people, but she had always maintained that she had never blasphemed, nor confessed, and in 2014 Lahore high court judges ruled the alleged confession was inadmissible. Jan Figel, the EU Special Envoy for Freedom of Region or Belief, tweeted that the judgment was an “encouragement for justice in Pakistan”. He had visited Pakistan to discuss her case in December 2017, when he told officials that the renewal of their export privileges to Europe depended on the release of Noreen. The case of the Catholic mother of five has drawn international attention. World Watch Monitor, over the years, has followed her case closely. Following the rejection of her appeal by the Lahore High Court in October 2014 her then lawyer, Naeem Shakir, told World Watch Monitor that with the passing of time it had become difficult for higher court judges to dispense justice, which, he said, “is increasingly in the hands of the extremists”. Two politicians, Salmaan Taseer and Shahbaz Bhatti, who showed support for Noreen’s case and advocated for reform of the country’s blasphemy laws, were killed in the first three months of 2011. In May this year Pakistan’s interior minister, who has championed the country’s minority communities, survived an assassination attempt by a gunman protesting against the blasphemy laws. In April Pakistan’s chief justice, Mian Saqib Nisar, said he would hear Noreen’s case personally. “Be ready, Saif-ul-Malook. I am going to fix your case soon and I myself will preside over the bench,” he reportedly told her lawyer. As part of his decision to hear Noreen’s appeal, Justice Nisar ordered police protection for Malook restored. 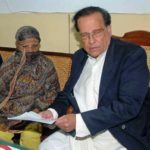 Asia Bibi’s husband and daughter were recently in London, where they were pleading for her release, but also warning that were she freed it would be difficult for her to remain in Pakistan. Blasphemy against Islam is an extremely sensitive issue in Pakistan. In November 2017, protests against potential reform of the current laws brought life to a halt in the capital, Islamabad, and though international pressure increases for the government to change its legislation, conservative Muslim groups continue to vehemently refuse. Pakistan’s new prime minister, Imran Khan, has spoken in support of the blasphemy laws, which have been used disproportionately against religious minorities. Pakistani Christians, for example, make up only 2-3 per cent of the total population, but over a quarter (187) of the 702 blasphemy cases registered between 1990 and 2014 were against Christians. Ahead of their ruling, the judges received threats from extremist groups calling for mass protests and Pakistani Christians said they feared that, were her appeal successful, Noreen could fall prey to mob violence. One Islamic party, Tehreek-e-Labaik Pakistan (TLP), had warned that “if there is any attempt to hand her [Bibi] over to a foreign country, there will be terrible consequences”. The party is known for its strong support of the strict blasphemy laws, and has called for blasphemers against Islam to be put to death and for those who kill alleged blasphemers to be celebrated. In February 2016, Pakistani authorities hanged Mumtaz Qadri, the bodyguard who tried to justify his murder of Salman Taseer partly because of Taseer’s support of Asia Bibi. 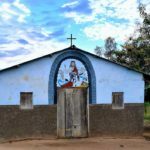 Pakistan is fifth on the 2018 Open Doors World Watch List of the 50 countries where it is most difficult to live as a Christian.